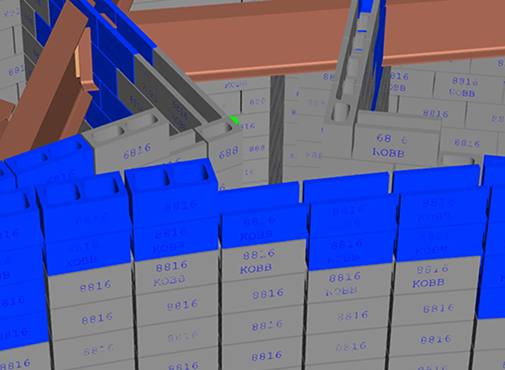 CAD BLOX is a service that builds 3-D models of masonry structures from the project plans. It is proven invaluable in project management and unit-by-unit accounting of all the various unit types, sizes, colors, and textures required for the design. The service can generate a report of materials and quantities needed, saving stakeholders from the effects of inaccurate takeoffs for special order materials. 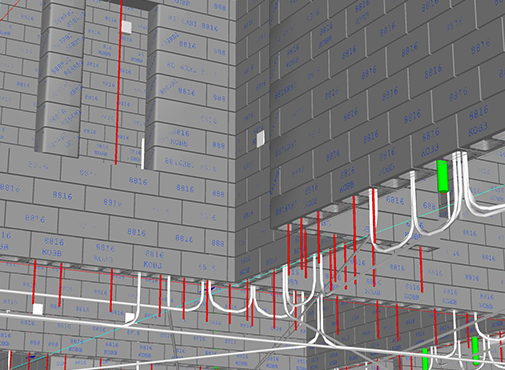 CAD BLOX models are easily incorporated into full coordination models for clash detection with a highly successful track record of identifying potentially catastrophic conflicts before construction begins. 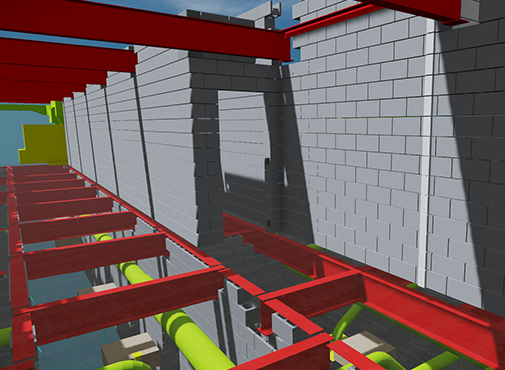 Angelus Block Co., Inc. is not affiliated with CAD BLOX LLC and provides this referral as a courtesy to project stakeholders who may find value in CAD BLOX services.